Hello friends! I hope you’re all having an amazing rest of the summer filled with adventures and things you love 🙂 I most certainly have been enjoying the sun with more exciting plans to come! 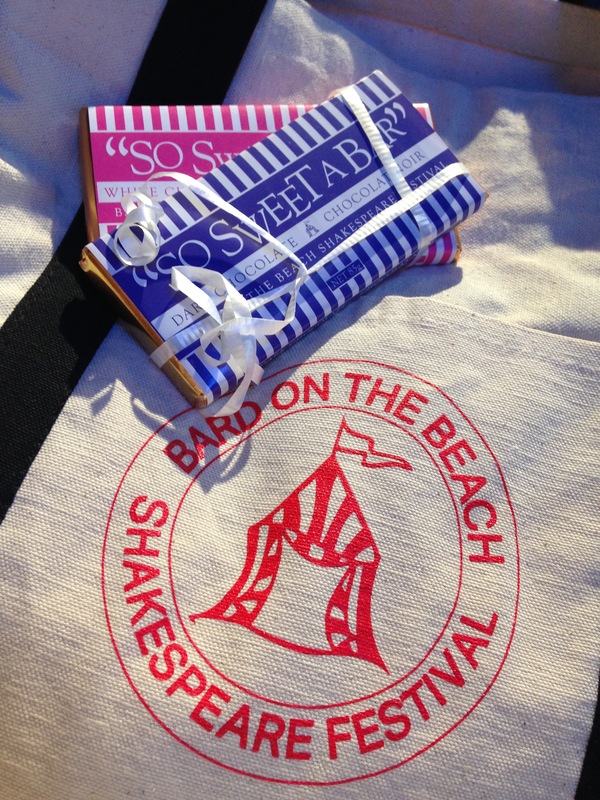 Recently I attended a Bard On The Beach show. You might remember my post from last year when I went to watch Romeo and Juliet, as well as their Opera & Arias special featuring my favourite: The Magic Flute. Going into its 28th season this year, Bard shows have been a yearly tradition for myself and many others. As I always say, what I love most about these shows is their ability to make Shakespeare fun for everyone. Shakespeare is definitely not everyone’s cup of tea, but with Bard shows, even if you aren’t too familiar with Shakespeare, you will still be able to follow along and understand what is going on. Set in 1950s Italy, this family-friendly production of one of Shakespeare’s most popular plays is filled with humour, glamour and romance. Directed by John Murphy, the high-spirited and stylish show runs until September 23 on the BMO Mainstage. THE STORY: It’s Italy in 1959, and a group of actors and filmmakers are celebrating the wrap of their latest movie. Leonato (performed by Andrew Wheeler), the head of a film studio, gets word that Don Pedro (Ian Butcher), the great film director, is on his way. Leonato’s niece Beatrice (Amber Lewis) inquires whether famous actor Benedick (Kevin Macdonald) is also coming. The two stars are notorious for their ongoing battle of wits. Don Pedro arrives with Benedick and Claudio (Julien Galipeau), an up-and-coming actor. Leonato then invites everyone to vacation at his villa, including Don Pedro’s sister, Dona Johnna (Laara Sadiq). Claudio confesses to Benedick and Don Pedro that he’s in love with Hero (Parmiss Sehat), Leonato’s daughter. The director offers to help woo her on Claudio’s behalf; he wins her love for Claudio and a wedding date is set. But Hero and Claudio’s marriage plans are almost ruined by the mean-spirited Dona Johnna, and la dolce vita is in danger of becoming not so sweet after all. Don Pedro also conspires to bring Benedick and Beatrice together, with hilarious consequences. David M. Adams, Lois Anderson (June 1 – August 6), Chris Cochrane, Austin Eckert, Ben Elliott,Jennifer Lines (August 8 – September 23), Sereana Malani, Ashley O’Connell and Kaitlin Williams round out this magnificent cast as the play asks the eternal question: Can love really conquer all? The heart of Much Ado About Nothing‘s enduring appeal is the relationship between Beatrice and Benedick, one of Shakespeare’s most intriguing and attractive couples. I love their cute banter, they’re my all time favourite Shakespeare couple, and Bard adds its own twists here and there to make those scenes incredibly witty. You will for sure laugh throughout the evening! The play was last staged at Bard in 2010; it featured Jennifer Lines and John Murphy as the two lovers. I love seeing this map every time, its pins shows all the home cities of Bard attendees, how amazing is it that so many people from around the World come to these performances each year? 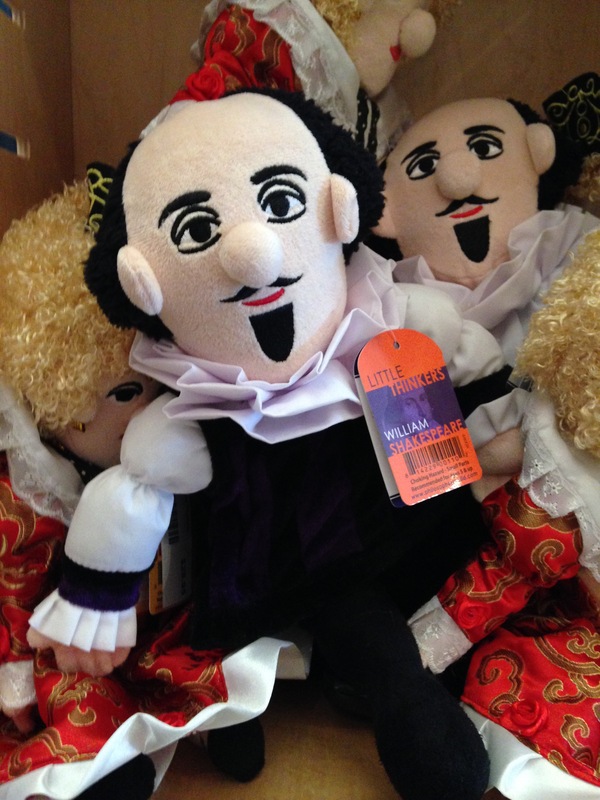 Haha I always laugh when I see this Shakespeare stuffie! • Rest of the performances go until September 23 on the BMO Mainstage in Vanier Park. • Wine Wednesdays: September 6 (Bard Marquee) – Intimate pre-show wine tasting events (6pm start time). Early booking is recommended for best seat selection as many performances sell out in advance. The full performance schedule, site information and play and special events details are on the Bard website at bardonthebeach.org. Besides Much Ado About Nothing, be sure to check out their other shows for this season! I highly recommend spending a summer night at a Bard show, especially Much Ado About Nothing, it’s so funny and witty, you’ll definitely enjoy it! There is also the upcoming Operas & Aria special performances that I very much enjoyed last year. This year they are featuring The Barber of Seville – matinee and evening performances on August 28th and September 4th. You can find more info from their website that I’ve linked throughout this post! I love the night views and lights after the show! The Bard team is too sweet, thanks for the gifts! Thank you Bard for inviting me to your performances again this year!